This month, our Big Marathon Challengers received some timely advice from the guys at High5 and Solgar, ensuring they can tackle the business end of training safe in the knowledge that their nutrition strategy and joint health has been taken care of. They also went for a bespoke gait analysis with Asics – resulting in shoes fit for their feet. So, with external factors taken care of, there’s now only one thing for it: making the next few weeks count. 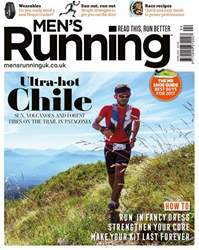 Last issue, confidence was high but, with their respective marathons looming into view, have any niggles or doubts threatened to derail their training? The Asics gait analysis was useful in reaffirming to me the level of support I needed from my running shoes. This is particularly important as I build up my weekly mileage, especially the length of the slow easy run at the weekends. I slightly over-pronate and, therefore, I learned a couple of years ago that I need to be careful in my shoe selection to avoid injuries of various kinds. I now always have two pairs of ‘active’ trainers that I alternate between during the week and I ‘retire’ each pair after about 300 to 400 miles to make sure I am continually getting the right support.